Some days feel like you are stopped at every turn. Your queries to magazines are rejected. You've crafted your proposal or manuscript and sent it to a number of literary agents at the same time. None of them are responding. You glance at the Amazon numbers for your books and they are in the millions (i.e. not selling at least on Amazon). Your twitter followers are not growing. 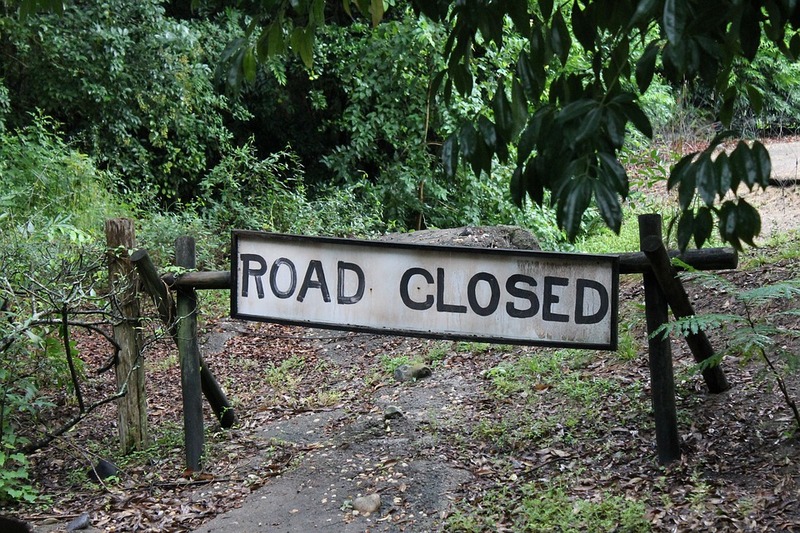 The list of possible roadblocks to your writing life appears endless. The critical difference between success and being in these types of stall is to persevere and find the way to overcome your roadblocks. 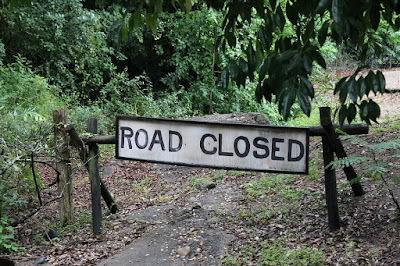 Think about your current roadblocks. Are you stuck or are you looking for the path around that roadblock? I've written about how I use a tool called Refollow where in a short amount of time I follow 800 new people every day. About once or twice a week, when I use this tool, I will get a message from Twitter telling me that I've followed the maximum number of people for that day and it will reset tomorrow. Maybe I've only followed 123 people of my planned 800. It looks like I'm blocked from following additional people. Yet I've learned if I wait 45 minutes to an hour, then return to the tool again, it starts working and I follow the additional people. I have found a way to move forward even when blocked. It's the same way with your writing. If you want to write for magazines, are you targeting the right audience for a publication? Are you crafting good articles with solid storytelling, a beginning, middle and an end? Do your articles have a single point or a takeaway? If not, there may be good reason why you are getting rejections from the editors. You will need to learn more or make different adjustments to get through these roadblocks. Maybe you need to join a critique group or form your own critique group to get this help. Or maybe you are writing children's books and sending out your material and getting quickly rejected or hearing silence. It's another roadblock. While many people believe children's books are easy to write (they aren't), you need skills and background to pull off such a submission. Get this additional information and you will find your way around the roadblock. If you aren't selling enough of your books, what actions can you take today to change this roadblock? Can you reach out to speak at another event? Can you create your own event? Can you begin to be active in an online forum? Pitch some podcasts for scheduling you as someone to interview and gain exposure to a new audience? There are dozens of ways around the roadblocks but it will not happen if you wait on someone else and don't take action. The world is full of opportunity but you have to seize it. It will not happen if you sit around and wait for it to come to you. Look for the opportunities to overcome your roadblocks.